Perfect Chemistry (Perfect Chemistry Series #1) - Lis Les Livres- Read Books! 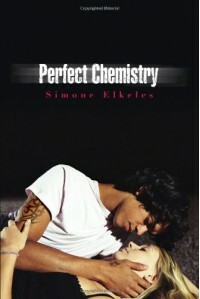 http://lisleslivres.blogspot.com/2012/10/review-perfect-chemistry-by-simone.htmlThis book is the meilleur!The story is not your typical corny, played out love story. I've heard it called a modern West Side Story. Personally, i think Perfect Chemistry is better, but I know that is sacrilegious to some so I'm going to back myself up.Alex Fuentes is hilarious. He acts like the bad boy who doesn't care, but he's only in the gang to protect his family. He'll fight for the people he loves.Brittany seems like the obnoxious, perfect girl that you just want to hate, but she turns out to be much more. 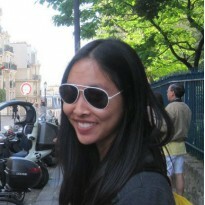 She's actually pretty smart and very caring, especially for her sister. Alex and Brittany shouldn't be together, coming from different social and economic backgrounds. Society wants them apart, but they defy what they "should" be and follow their hearts. This book challenges the molds that we are all supposed to fit, truly giving the deeper message of not "judging a book by its cover." So it's starting to sound all mushy gushy, so I'll tell you that there is DRAMA! There's a lot of drama with Alex's gang, so get ready for the danger. And you know the friends and family of the two lovers will not be in favor of their being together.There's a bit of Spanish in this book, much more than the amount of French in Anna and the French Kiss, but you will get the gist of what the characters are saying. When in doubt, just assume that it's probably something inappropriate and insulting that's being said. That being said, there's a significant amount of profanity in this.Would I recommend this to a friend? Oh my goodness, yes! Go get your copy now! This book is so much more than meets the eye. It truly has a deeper message that everyone should receive.